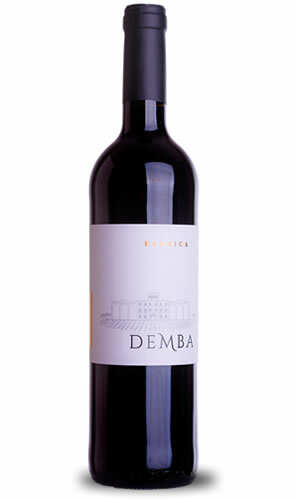 Demba Barrica wine. L&P Global. Tempranillo, Merlot and Cabernet Sauvignon. Viticulture: Clay and calcareous soil. Each year analysis of both the soil and leaves is undertaken, so that each plot is best utilized. Systematic prunings are held to obtain a balance between leaf surface and fruit. Night harvest is made at the suitable moment of fruit. Night harvest is made at the suitable moment of maturity, ensuring the adequate temperature of the fruit. Vinification: Prefermentative maceration at low controlled temperature (10ºC). Temperature controlled fermentation(24-27ºC)with pumpings and “delestages”. Oak aged during 10 months in American, French and Hungarian oak barrels. Tasting notes intense ruby red color. A harmony of fruit provides the background for the characteristics of the crianza, showing multiple nuances, good balance and a nice palate. To be served at a temperature of 14/15Cº. Highlights: SILVER MEDAL at Premium Select Wine Challenge 2010 (Germany. Rated 3*). 88 PEÑÍN points for 2005 vintage (AYLES Crianza). The 2004 AYLES Crianza vintage had 87 points by PEÑÍN and Wine Advocate.